Paris-based designer Daniel Pouzet has created the Swingrest for German manufacturer DEDON. 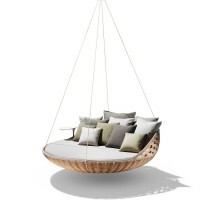 The ultimate hanging lounge, SWINGREST is one of the first products to emerge from DEDON ISLAND resort, our Outdoor Living Lab in Siargao, The Philippines. 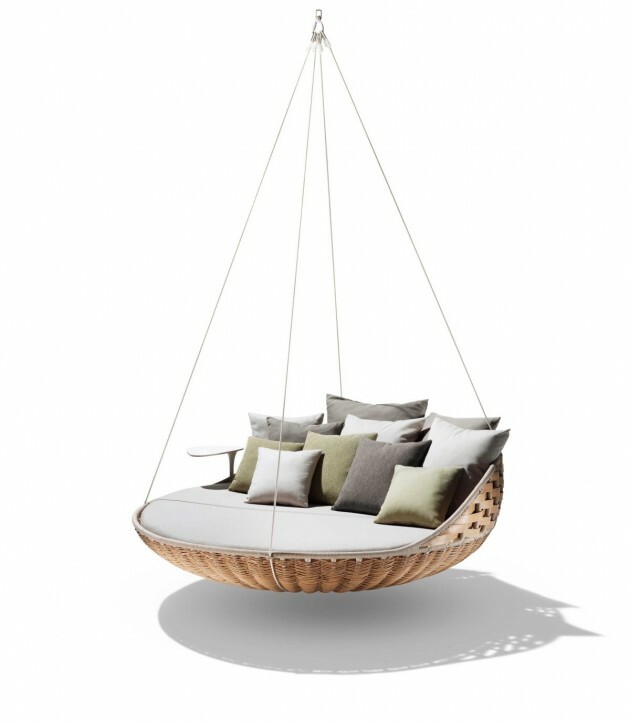 Pouzet, co-architect and designer of DEDON ISLAND, took his inspiration for the SWINGREST from the extra-high ceilings of the resort’s villas. Borrowing the basket-like bottom from his earlier creation, the NESTREST, he has managed to create an altogether new work that feels even more spacious (and fits more people) while seeming to take up less space. Perfect for hanging on the terrace or veranda, or even indoors, the SWINGREST is distinguished by the purity and simplicity of its concept. Rather than complicate it unnecessarily, Pouzet decided to focus instead on refining the details of the design, developing, for instance, the SWINGREST’s elegant suspension system, its rotating Corian® tabletop and the specially-created cord that wraps around its exposed tubing. Available in a Natural colored weave, SWINGREST comes with an optional fabric curtain cover that’s perfect for making shade and giving privacy while letting those inside see out. 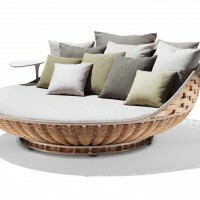 Visit DEDON’s website – here.